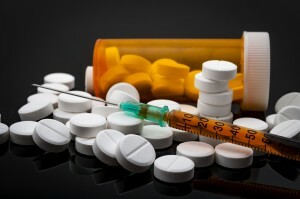 A key step in implementing solutions for the opioid overdose epidemic was reached in San Diego in October where days later the opioid crisis was officially declared a national public health emergency. Seventy representatives from more than 50 organizations, including NASW, gathered in California for the first ever Integrative Pain Care Policy Congress during the Annual Meeting of the Academy of Integrative Pain Management (AIPM). Attendees, who represented licensed and certified health care providers, public and private payers, policy advocates, and research organizations, debated and devised a universal definition of comprehensive integrative pain management. The Congress was a “giant first step forward,” bringing together diverse participants for the first time to discuss how they can advance integrative pain care, organizers said. Bob Twillman, executive director of the Academy of Integrative Pain Management, said in the press release that efforts must be made to promote quality care focused on function and wellness, not care guided only by what payers are covering. “We must continue discussions with payers and researchers to review and enhance the existing evidence in service of expanding payer coverage of safe and effective pain treatments,” he said. Carrie Dorn, NASW senior practice associate, attended the congress and submitted an NASW statement to attendees. It noted social workers are a critical part of the integrative services across health care settings and that they practice from a strengths perspective that promotes resilience and self-determination. It explained that increased opioid abuse and misuse have created barriers to integrative pain care. “It is germane that policies, regulations, and provider practices be adapted to address opioid misuse,” NASW said. At the same time, maintaining access to integrative pain care – including, but not limited to, appropriate use of opioids – is essential to the quality of life for individuals, families and communities, NASW stated. “The continued integration of social workers in health care teams can help to achieve this outcome, and the increased intervention of health social workers to pain care may be one of the positive consequences of the opioid crisis,” the statement says. From the January 2018 NASW News. Ten years ago, at the hight of my professional career as a Dually Licensed Social Worker and Addiction Specialist, I was in a tragic hit and run accident, leaving me with a fractured spine requiring extensive, multiple reconstructive surgeries. The ensuing pain was far beyond my worst imaginable fears and then some. My recovery took many years of exhaustive and brutalizing work on multiple fronts with an army of outstanding professionals. I am finally about 85% close to my previous levels of functioning. I still require low doses of opioid medications to keep me going daily. Without them, I would have been bedridden and institutionalized and most likely suicidal.